Let me start by saying I’ve bombed my fair share of sermons over the years. There have been those moments where words have come of out my mouth while preaching that left my leadership team asking for further interpretation. There are also times when I’ve hit it out of the park completely in tune with what needed to be shared. People have thanked me years later for biblical truths I’ve preached that impacted them. They’ve also reminded me of funny illustrations that are unfortunately more memorable than the sermon lesson that accompanied them. Preachers are not perfect and mistakes will be made. However, it’s imperative that our twenty-first century gospel is in tune with the heart of the first century gospel because we are communicating in an age of biblical illiteracy. Misinterpretation of Scripture. The majority of misinterpretations are done with honorable intentions of strengthening a spiritual principle, but the habit can lead to bad theology. The most recent example is a loose interpretation of the parable of the talents which is floating around. It’s presented in a manner to motivate people to do more with their gifts, but says we will be judged according to what we COULD have done. But in Matthew 25, Jesus isn’t casting fear into the hearts of believers for not doing ENOUGH ahead of the coming judgement. He’s calling attention to those who do NOTHING, or those who profess Christ, but don’t live like him. Scripture taken out of context. This was the crème de la crème of the 1990’s preaching I was raised on, and the same Scriptures are misunderstood today. Consider Philippians 4:13. Yes, it’s true all things are possible with God, but the context of the Scripture is that Paul will preach the gospel whether he gets paid or not. Or look at Philippians 3:13 where Paul says he forgets the things of the past. He’s actually referring to achievements, not failure or sin. And of course the infamous “where two or three are gathered together” misinterpretation that somehow has never gone away (the stuff of urban legends). Overuse of topical sermons. Part of this issue of #1 and #2 is the rise in topical sermon series over the years. Don’t misunderstand. Topical preaching has it’s place and I really enjoy it, but that style lends itself to picking and choosing single verses and passages to support our topic regardless of the actual context of those verses. It’s easier to use a concordance to find verses with the same word than to research the actual context of said verses. Conjecture without acknowledging it as such. Conjecture is when you fill in the gaps of Bible text with your own guesses or thoughts. With biblical illiteracy in mind, if it isn’t verbalized as such, it’s dangerous ground to tread because you’re actually adding to God’s Word. Woah. I heard a preacher recently state that John the Baptist died not knowing if Jesus was truly the Messiah. It was conjecture presented as scriptural truth. And that “truth” was a leap in and of itself! If you’re not preceding conjecture with something like “Now this isn’t in the Bible,” or “This is speculation”, then leave the conjecture unspoken and save it for a setting with group discussion. Complex spiritual thoughts in 140 characters. Communicating complex spiritual principles in the age of social media and short attention spans is not easy. I’ve seen countless tweets that sound good, but are half-truths, untrue, and sometimes total nonsense. In the age of biblical illiteracy, if you can’t communicate a Scripturally solid thought in less than 140 characters, then either A. Don’t tweet it, B. Write a blog post on it, or C. Save it for a sermon. When something speaks to us personally, it can be hard for others to understand where we are coming from in less than 140 characters. If the clarity is questionable, it’s better to not send it. After all, that might be the only “Scripture” someone reads that day. Preachers/pastors, we are professionals. 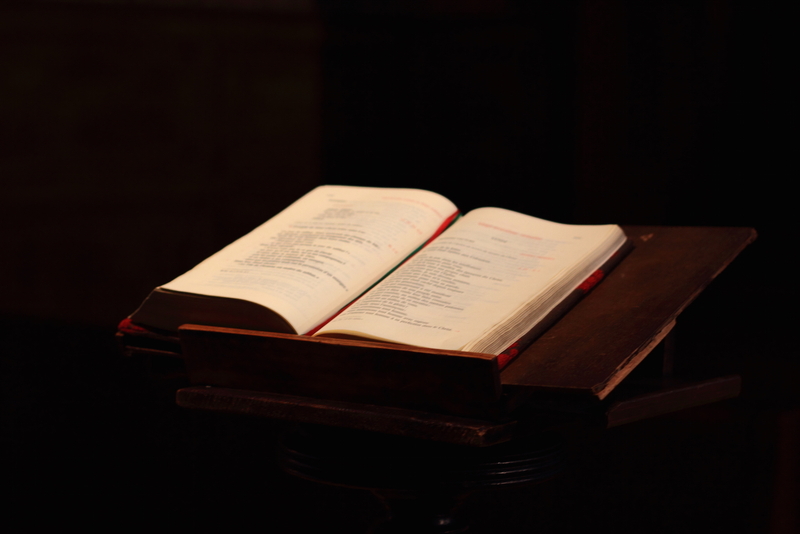 Are we known as the authority on God’s Word? Let’s study and communicate it in a way that respects that awesome responsibility. We can turn the tide of biblical illiteracy, but we must be intentional and we must do it now.